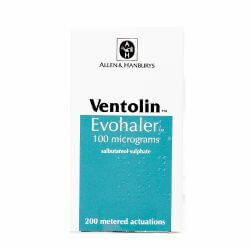 Ventolin Evohaler (Salbutamol Sulphate) 100mcg 200 Dose's contains the active ingredient Salbutamol Sulphate, which belongs to a group of medicines called beta agonists. It works by widening the airways in the lungs to allow air in and out. 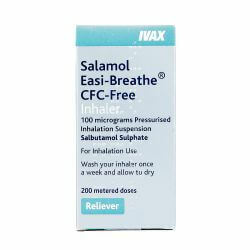 It helps to relieve the feeling of breathlessness, tight-chested and from wheezing. 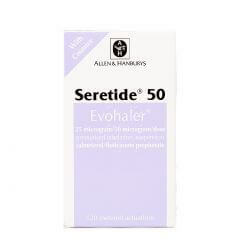 You should speak to your doctors before using the Ventolin Evohaler if you suffer from thyroid problems, diabetes, serious heart disease, high blood pressure or irregular heart rhythms. 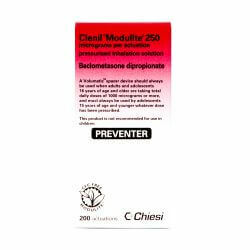 You should also consult your doctor if you take other medication, particularly beta-blockers, medicines used to treat heart disease and depression and any water tablets.